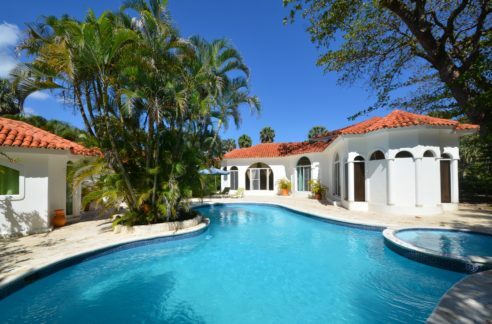 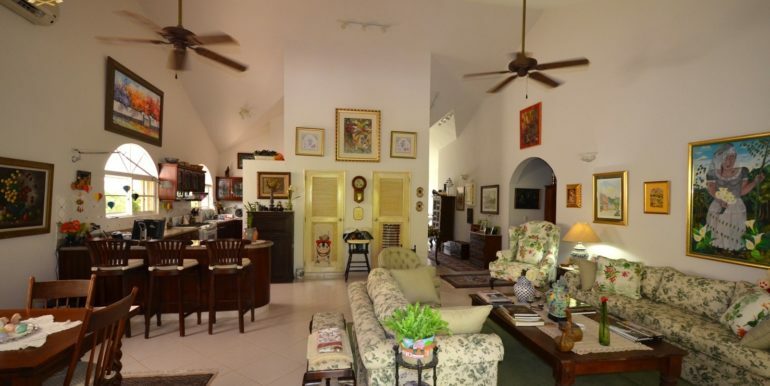 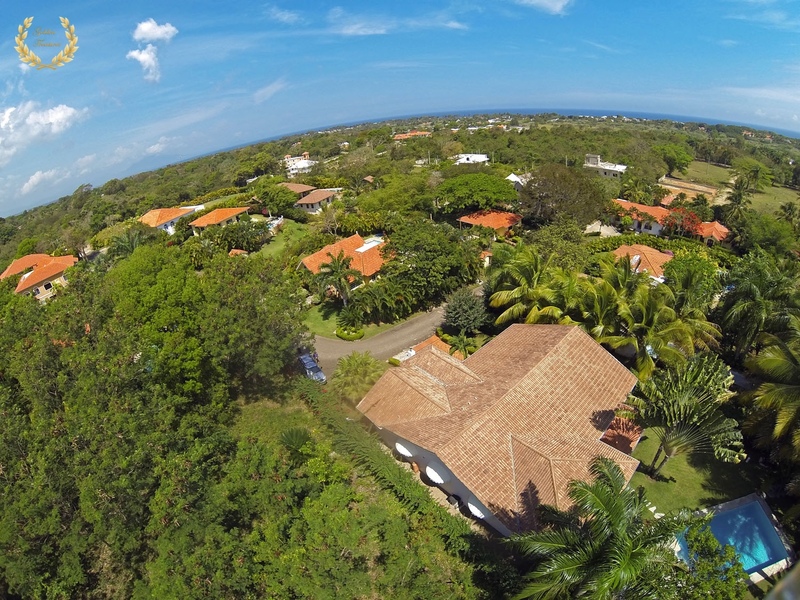 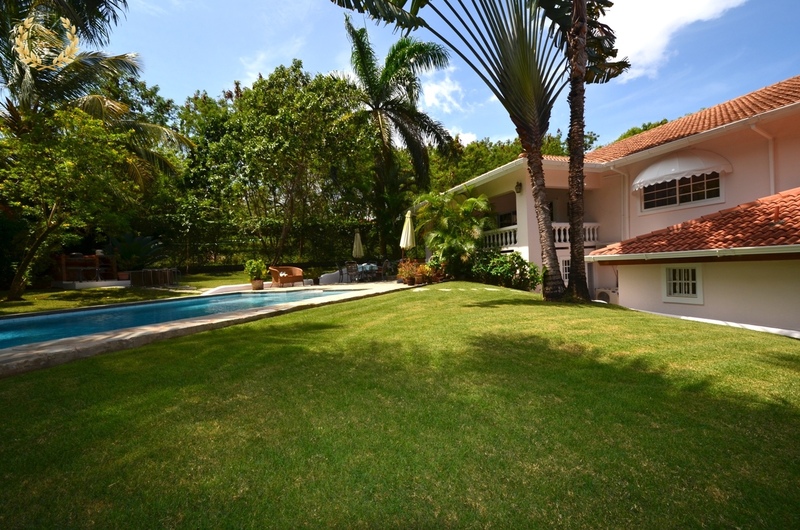 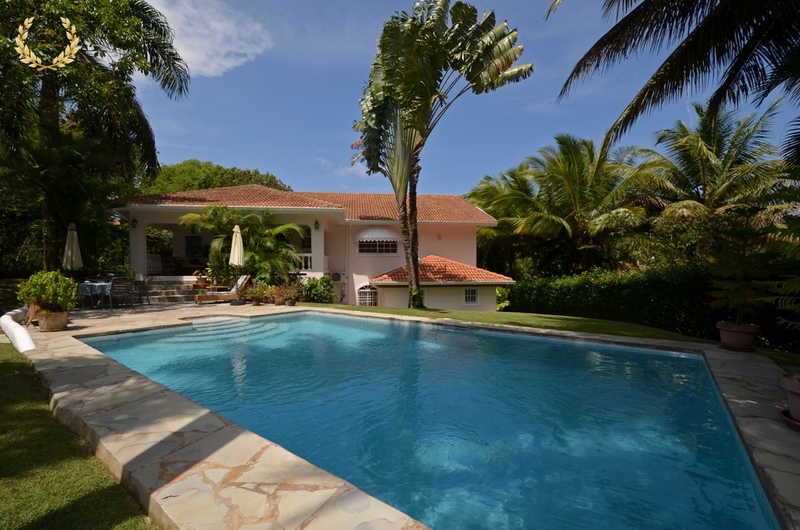 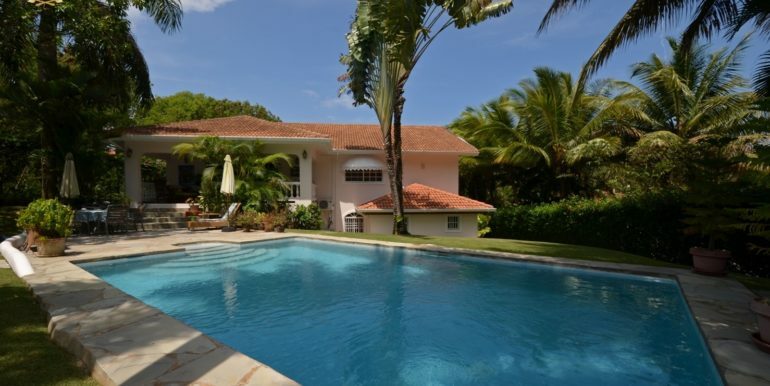 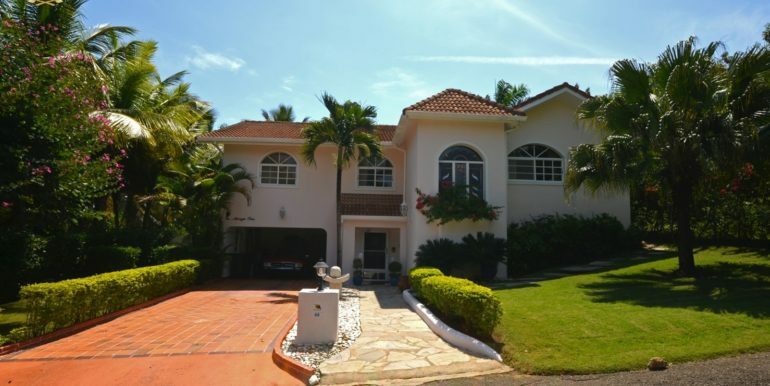 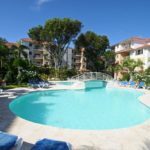 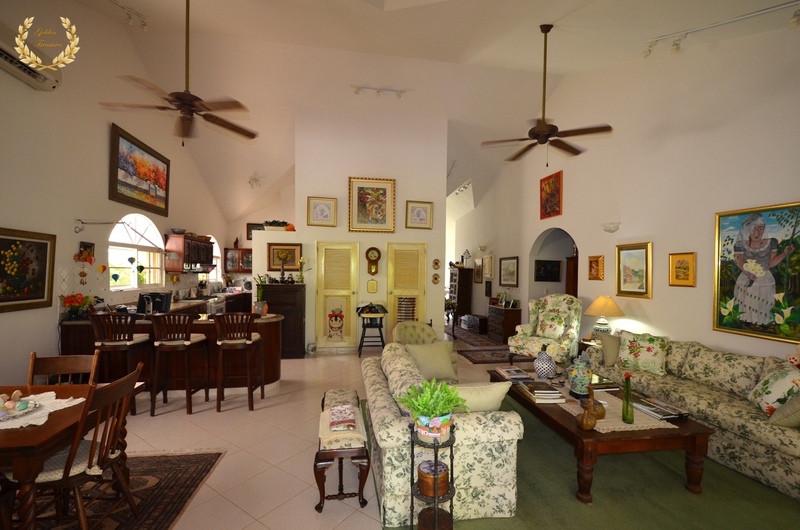 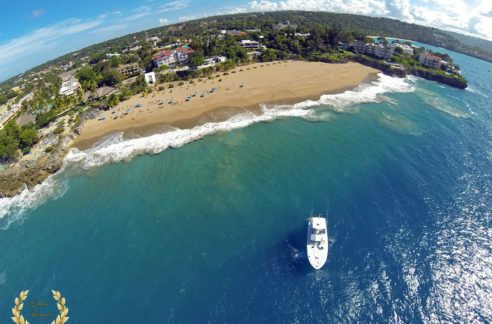 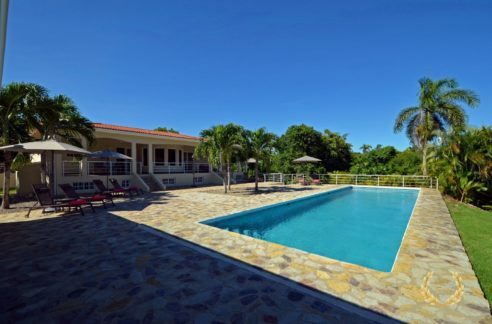 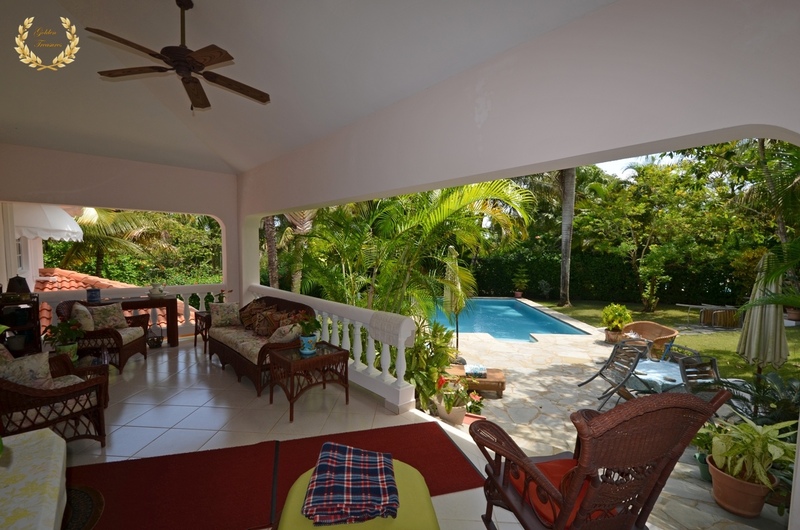 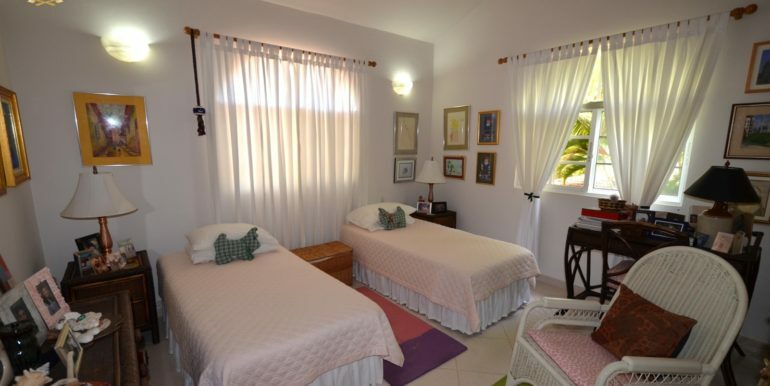 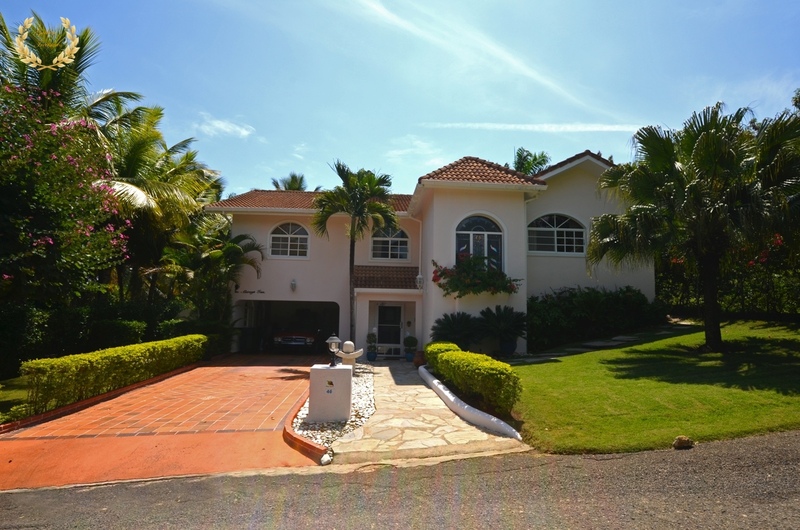 This 4 bedroom, 4 bathroom villa offers a very comfortable lifestyle, within a gated community of Sosua. 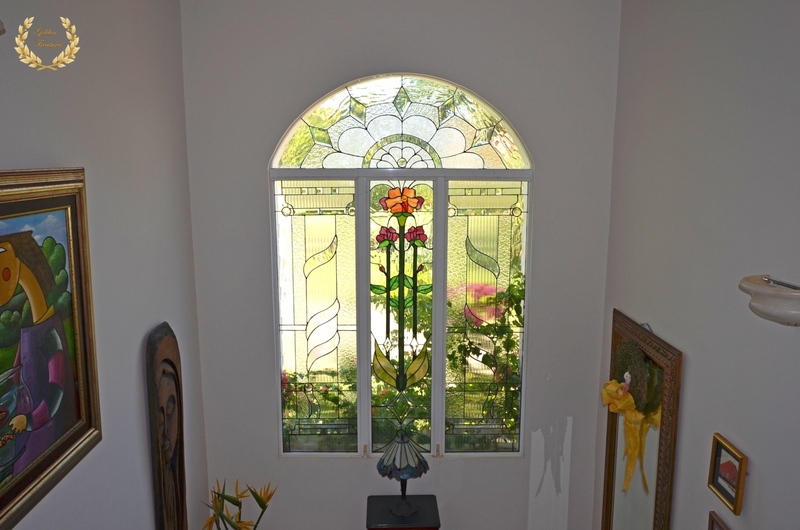 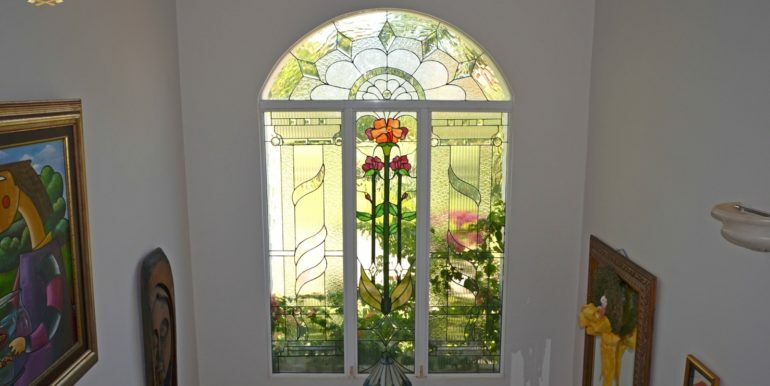 Built on 2 levels totaling 350 square meters construction, the house includes interior stairs that lead to an ample living room with vaulted ceilings and a tall, gorgeous stained glass window of floral motifs by the stair wall. 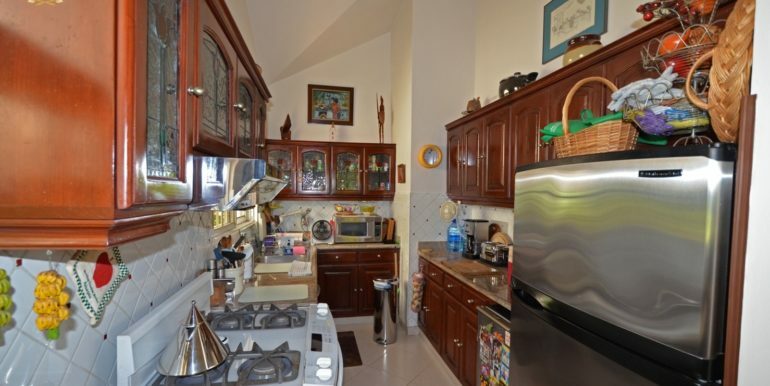 The galley style kitchen is perfect for entertaining, as it extends from a breakfast nook into a corridor type end. 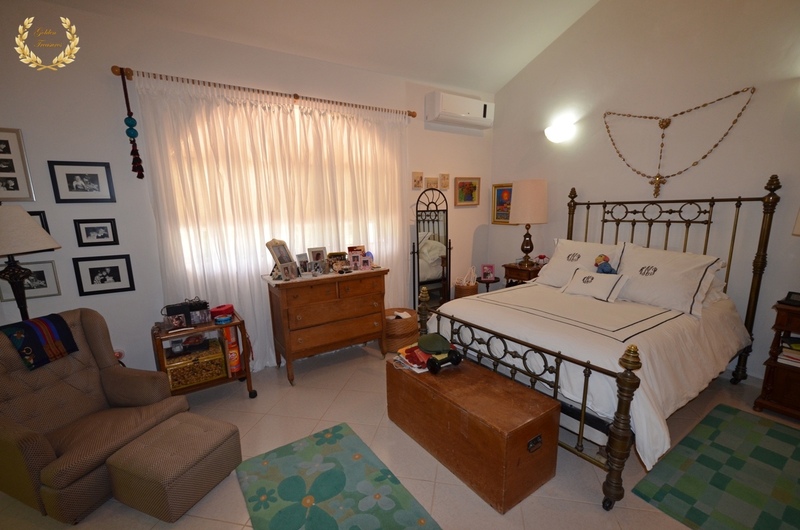 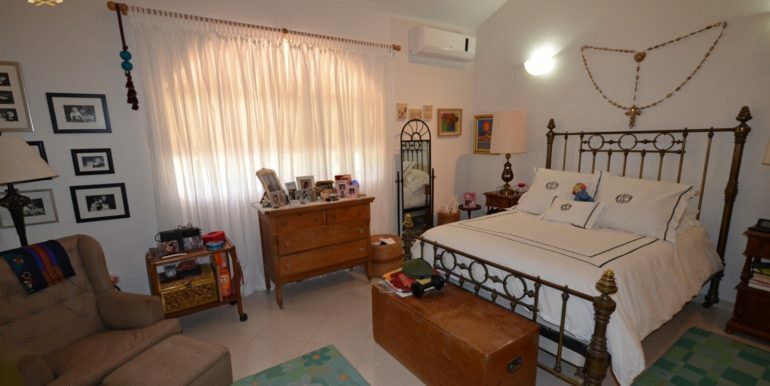 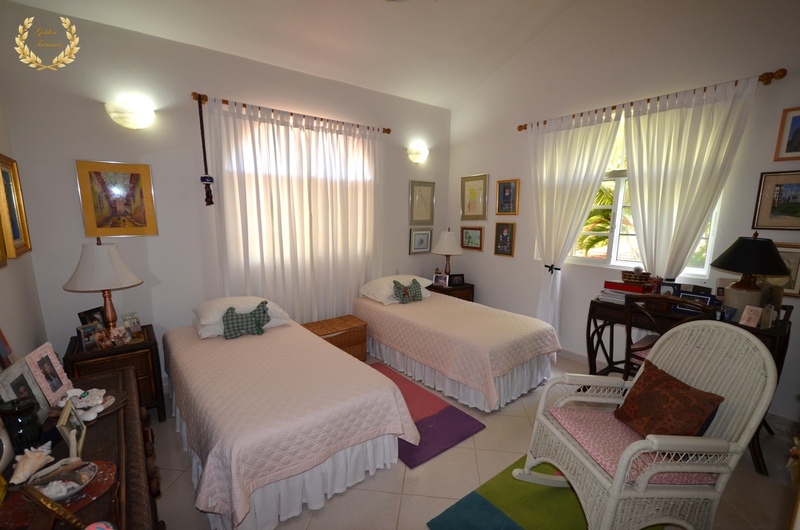 All the bedrooms in the house are elegantly decorated, and include tall closets and private bathrooms. 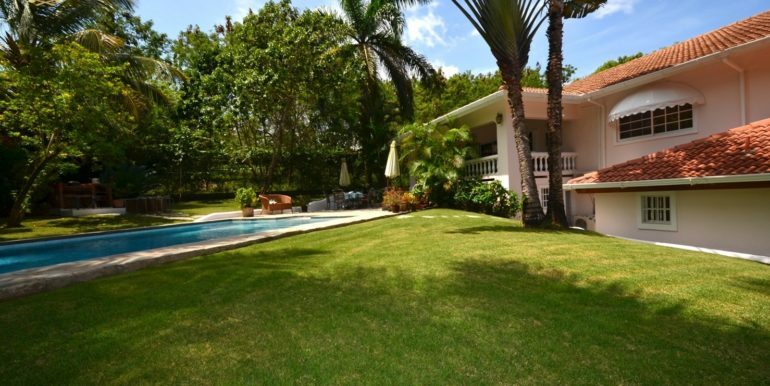 A covered terrace facing the garden becomes the main lounge area, just steps from the exquisitely large swimming pool and green areas. 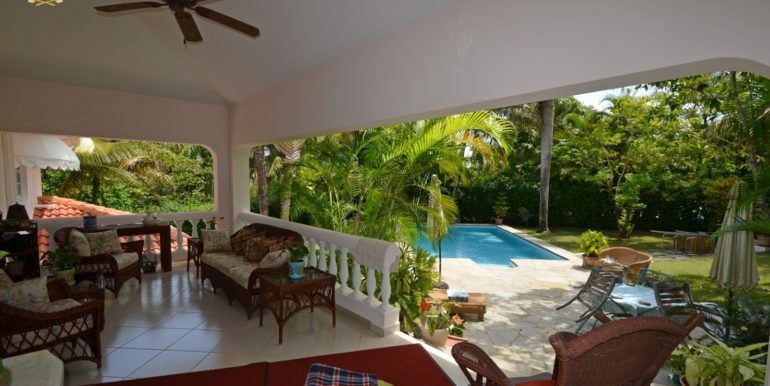 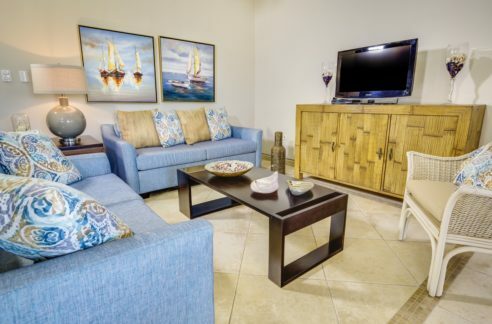 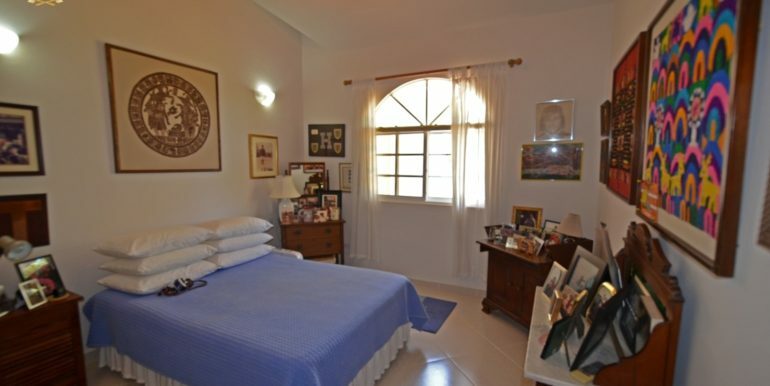 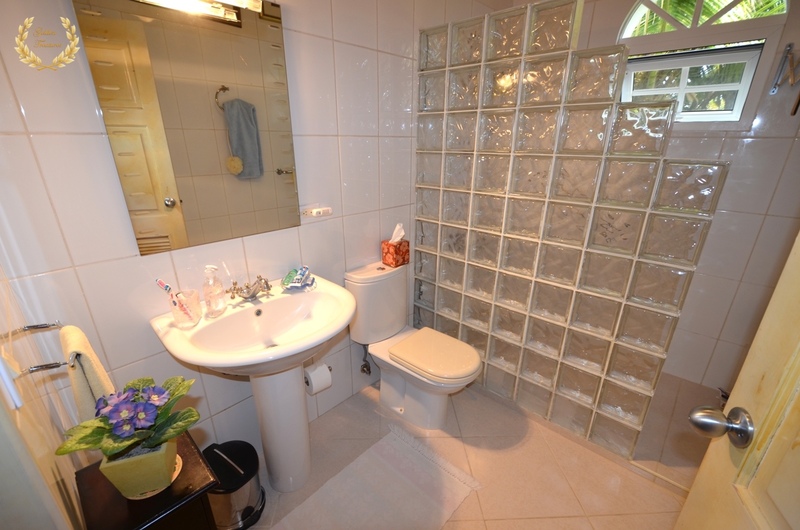 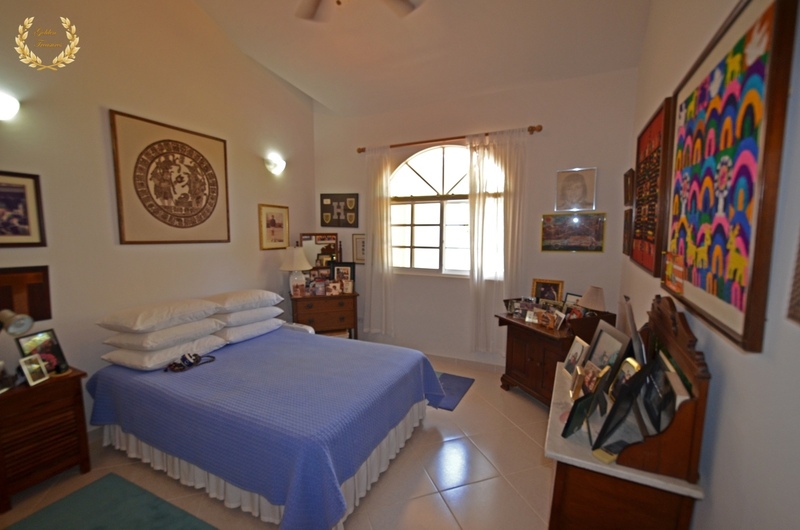 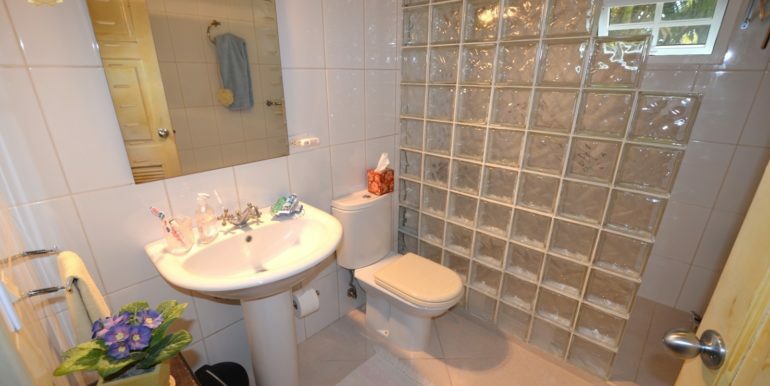 This turn-key villa is fully furnished, and includes rain gutters, storm shutters and satellite dish. 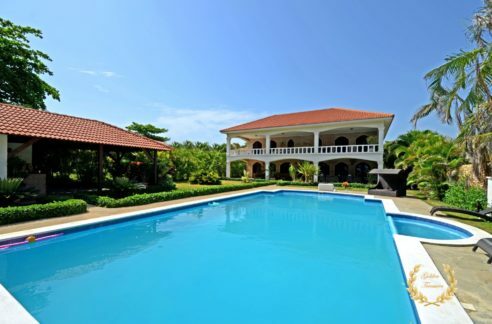 A BBQ grill by the pool area is made of brick, and an open terrace area sits between the veranda and the pool. 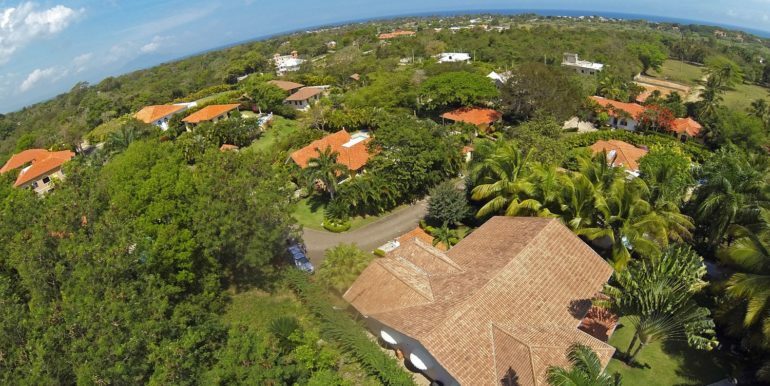 An adjacent plot of land of 2,000 m2 is also available for sale by the owner, at a very good price. 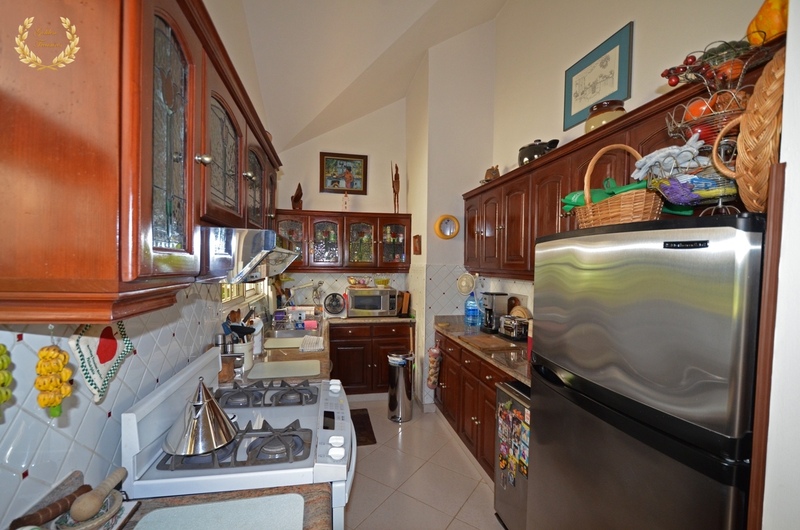 *UPDATE* THIS PROPERTY HAS BEEN SOLD.